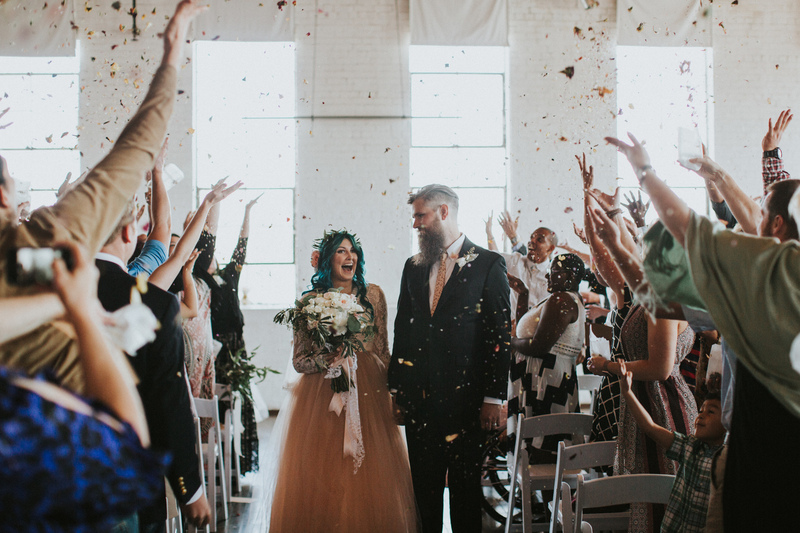 Around this time last year, we told you about a paralyzed bride who learned to walk for her wedding, defying doctors’ expectations and drawing a beautiful, moving response from her husband on their wedding day. Now, we’re happy to report that bride Jaquie Goncher and her husband, Andy, are expecting their first child. Cue the confetti! Goncher was declared paralyzed from the neck down after a swimming pool accident in 2008 shattered part of her vertebrae, with doctors declaring that she’d never walk again. But just a month after the accident, Jaquie felt some movement in her toes and dedicated herself to regaining her ability to walk. A year later, Jaquie is just about ready to give birth — any day now! — to a baby girl the couple plans to name Olive. 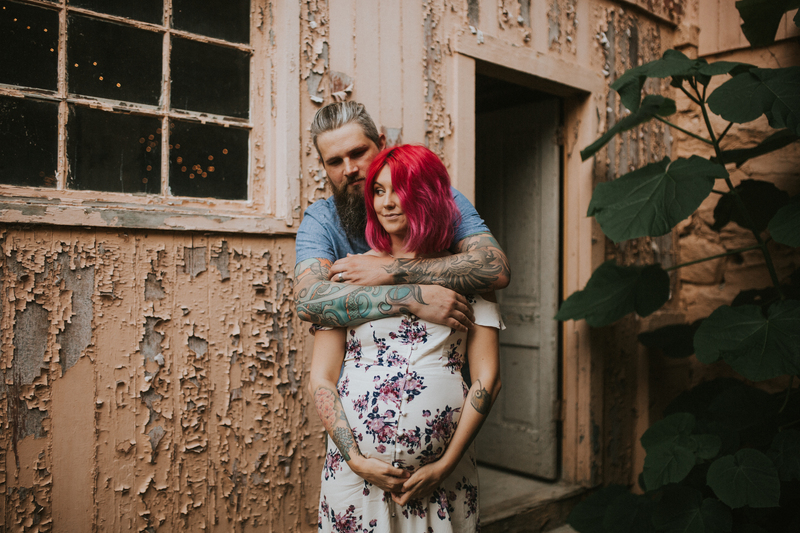 The photos from the couple’s maternity shoot with Love Stories Co. — who also shot their wedding and engagement — show an enamored pair ready to become parents. Jaquie, too, looks positively radiant. 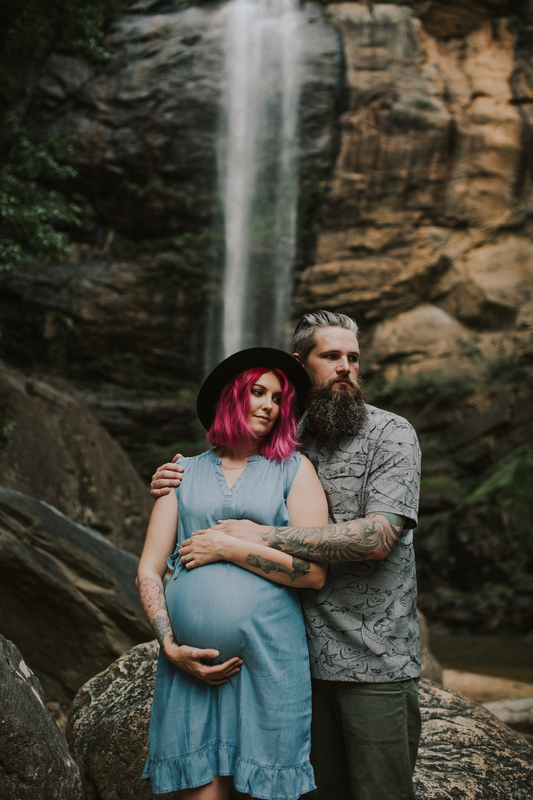 "While Jaquie can now walk with very little assistance — and sometimes for a little while on her own — it is of course more difficult for her to climb things and hike," says Halie, one of the photographers behind Love Stories Co. "She mostly stays in her chair when we bounce from spot to spot, and stands up once we have a pose in mind. 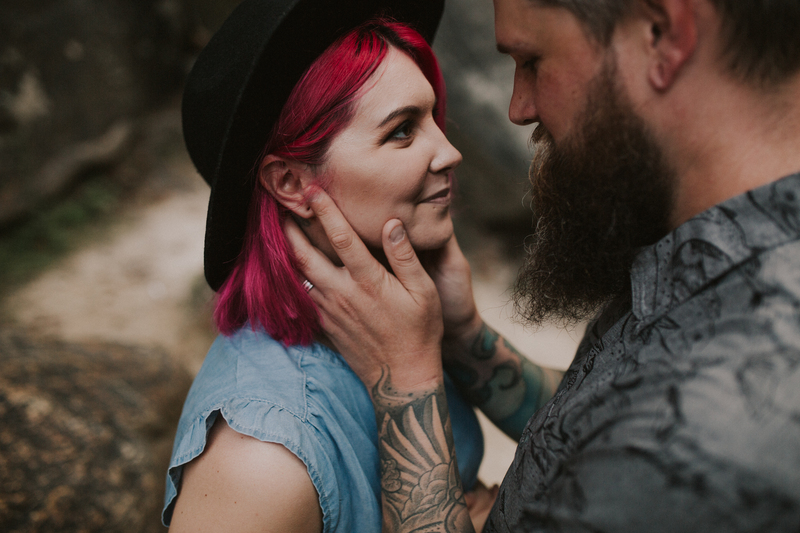 Because of this, we initially thought it would be difficult to get candid and genuine emotions since things do sort of have to be more staged with them, but their love for each other is so strong and there's never a dull moment." 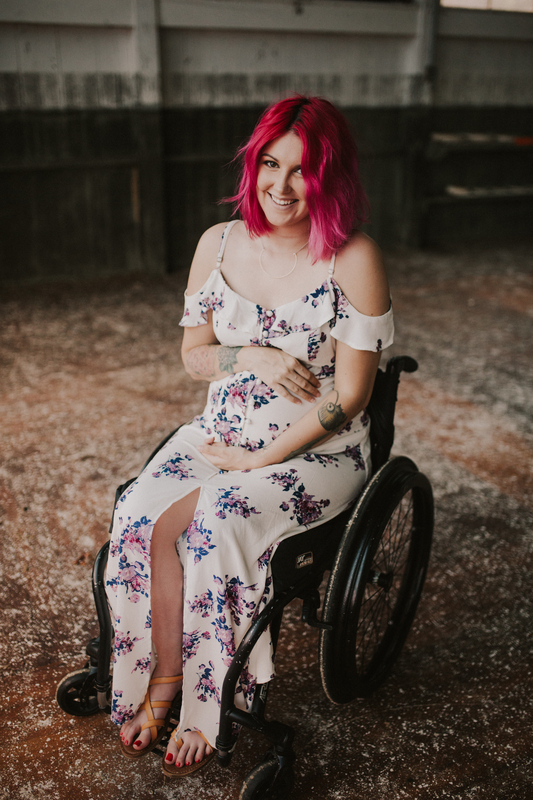 Paralyzed women can typically get pregnant and give birth as easily as non-paralyzed women; Jaquie’s doctors don’t expect any complications during labor or delivery, and Jaquie is hoping for a natural birth. 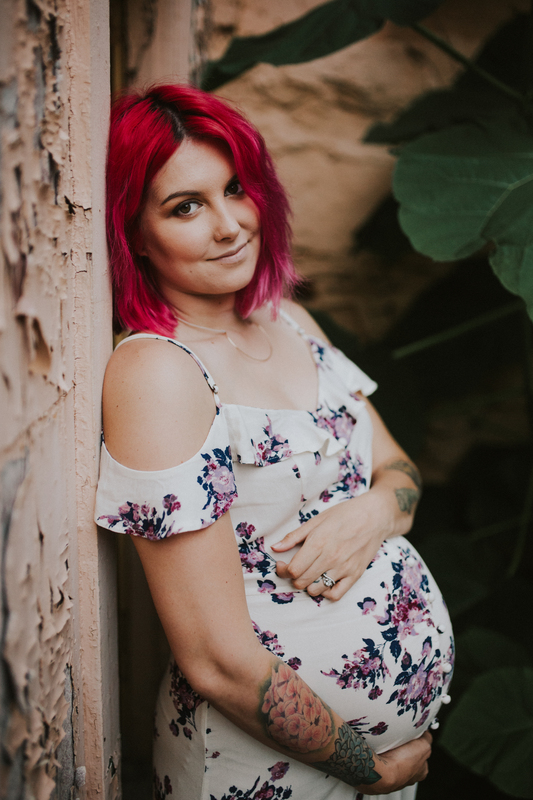 To see more photos by the talented husband and wife team behind Love Stories Co., check out their Facebook page and follow them on Instagram. Congrats, Jaquie and Andy! 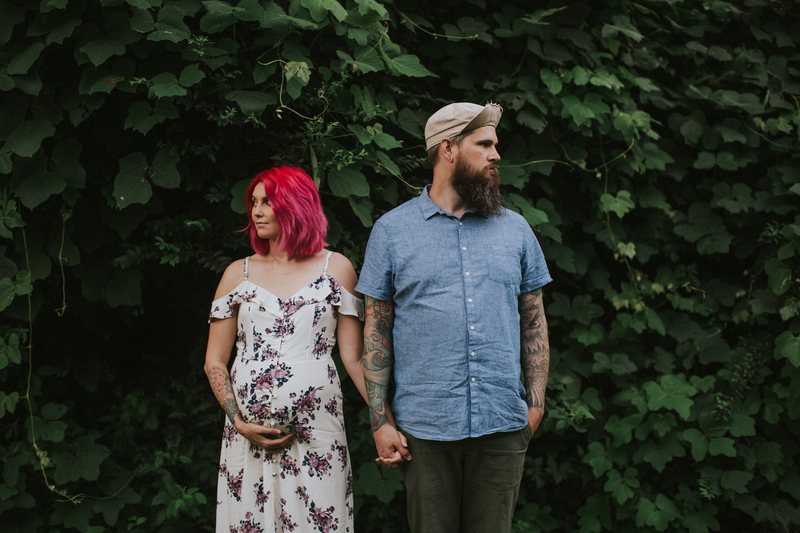 We can’t wait to meet your little Olive.